This section explains how to solve problems involving mortgages — a legal agreement in which a borrower gives the lender a security interest in real property — and foreclosure, the most common way for a lender to enforce its rights under a mortgage that is in default. Client has missed a mortgage payment and is worried about legal action by the mortgage lender. Client has received a foreclosure petition and wants to know their rights. The law of real property mortgages (that is, mortgages of land) and of foreclosures is complicated. In most instances, a person who has a problem with a mortgage and faces foreclosure should get the advice of a lawyer. This section gives advocates an overview of some of the key principles of these areas of law. giving security over the land to ensure payment. Historically, the security aspect of a land mortgage meant the borrower was actually transferring the land to the lender until the mortgage was paid off. This did not mean that the lender went on the land title as the owner — the borrower was still the registered owner — but the mortgage lender was shown as a charge against the title. The notion of transfer meant that the lender had certain rights to take the land if the debtor defaulted. The court process that the lender had to initiate was a foreclosure (where the lender can take back the property if mortgage payments are not kept up). Amendments to the Land Title Act have abolished the concept of transfer, but the rights of the mortgage lender to foreclose remain. The mortgage registration process has been greatly simplified in recent years because many mortgages have similar terms. Most lenders insist on using their own standard mortgage contract, with few variations. Under the Land Title Act, mortgage lenders can file a copy of their standard mortgage terms at the Land Title Office, rather than filing a copy of the same terms for each mortgage. If the terms vary at all, the lender can file a document that shows only the changes. An important protection for borrowers is that the lender must still give the borrower a copy of the standard mortgage terms (and any modifications) when the mortgage is signed. While most institutional lenders have their own standard terms, the Land Title Act provides an alternative that lenders can adopt as their standard form of mortgage. While it is beyond the scope of this publication to go into detail about all the terms of a mortgage, the following are some of the more important aspects to understand. The fundamental promises of the borrower in any mortgage are to pay the amount borrowed on time and to give the property as security in case of default. In most mortgages, the borrower also promises to pay the property taxes, to keep the property in good repair, and to insure buildings on the property against fire and other risks. The mortgage states the principal amount lent to the borrower, the interest rate at which the money is lent, and the periodic payments the borrower must make. The mortgage will also state the frequency of the payments, which can be weekly, bi-weekly, monthly, etc. There are two time periods relevant to most mortgages: the “term” of the mortgage and the “amortization period” of the mortgage. The amortization period refers to the length of time to pay off the whole mortgage. A typical amortization period for a new mortgage is 25 years. The term of the mortgage refers to the length of time the borrower and lender agree that the borrower can have the money at an agreed rate of interest before, technically, the borrower has to pay back the remaining balance. Typically, lenders and borrowers agree on terms ranging from one to five years. While at the end of that time the borrower is technically required to pay back the remaining balance, it is almost always the case that the parties agree to extend the term for another period of time at a re-negotiated rate of interest. One of the most important aspects of consumer mortgages is the right to prepay the mortgage (see the section on Prepayment Rights). A closed mortgage is when the parties agree that the borrower has no right to pay out the mortgage earlier than the end of the mortgage term (for example, one, two, or five years). An open mortgage is when the parties agree that the borrower can, if they want to, pay out the mortgage during the term of the mortgage. Because prepayment rights benefit the borrower, most lenders charge a higher rate of interest for open mortgages, particularly for ones with longer terms. Some lenders offer a compromise between open and closed mortgages: mortgages that give a partial right of prepayment. A lender may agree to accept additional payments during the term of the mortgage (for example, 15% of the balance owing, in any 12-month period without penalty). have the buyer assume the mortgage (that is, take over responsibility for paying the mortgage). 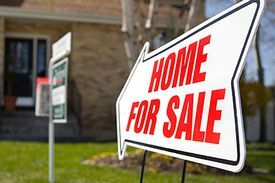 The assumption of mortgages may be important when interest rates are rising, or when the prospective buyer has trouble qualifying for a new mortgage loan. Typically, mortgages say that an existing borrower-owner cannot contract to have a buyer assume the mortgage without the approval of the lender. Historically, lenders were reluctant to release owner-borrowers from their promise to pay when a mortgage was assumed. As a result, some borrowers remained liable long after the property was sold, and if the subsequent owner defaulted, the original owner-borrower could still be responsible for the mortgage. There are some important provisions in the Property Law Act that deal with the assumption of mortgages over residential property. The most important provisions give protection to owner-borrowers who want to sell their property, with their purchasers assuming the existing mortgage. three months after the existing term of the mortgage has expired, the owner-borrower will be released anyway, unless the lender has made a specific demand for payment. An important protection for owner-borrowers is that creditors cannot, by law, unreasonably refuse to grant release requests. As a result of these changes in the law, it is unlikely that advocates will encounter the problem of former owner-borrowers not being released from all their mortgage obligations when a house is sold. The most common way for a borrower to default in a mortgage is by failing to make the required periodic payments. However, most mortgages give lenders many other rights to declare the mortgage in default, including a failure to pay the property taxes, abandonment of the property, bankruptcy by the borrower, and adding further mortgages to the land without the permission of the existing mortgage lender. An important right of the creditor, triggered upon default, is the contractual right to accelerate the agreement, which allows the creditor to claim the full balance owing, not merely the arrears. A plain reading of most mortgages appears to give mortgage lenders a frightening list of remedies against the borrower when there is a default. Older mortgage clauses spoke of the right to take possession of the land, to sell the land by private auction, to appoint a receiver, or to “take whatever action is necessary to take, recover, and keep possession of the land”. In fact, in most instances, mortgage lenders are restricted, for both practical and legal reasons, in taking foreclosure proceedings against the borrower. Foreclosure is the most common way for a mortgage lender to enforce its rights under a mortgage that is in default. Historically, foreclosure was the legal process by which the lender closed off the right of the borrower to get the title back, back when mortgaging meant there was an actual transfer of the property to the lender until the mortgage was completely paid. Under the present Land Title Act, there is not an actual transfer of the property to the lender, but the remedy remains essentially the same process: the lender goes to court to get the property or to get the property sold in order to recover the money lent. Foreclosures are started by petition, under the Supreme Court Civil Rules. If there are no special circumstances to suggest a lender should delay starting a foreclosure, the process is usually started around the third month that the mortgage is in default. The law requires the borrower to be served with the petition. In most mortgage default cases, there is no formal trial on the issue of default. Because the default is usually not seriously in doubt, and because in most instances debtors do not have a defence to the claim for the amount owed, the Supreme Court Civil Rules allow foreclosures to be heard in a fairly summary manner. The first hearing is usually held in Supreme Court Chambers — a special, more informal setting of the Supreme Court, where the evidence is presented through affidavits, rather than oral testimony of witnesses. The first hearing is sometimes referred to as an application for an “order nisi”, which is the main order in foreclosure proceedings. The first hearing is usually held within three weeks to a month of when the petition was served on the borrowers, and is likely to be over in a matter of minutes unless the foreclosure is contested. At the first hearing, the lender asks for a number of court orders, including judgment against the borrowers, legal costs, and an order setting the length of time that the borrowers have to come up with enough money to at least pay the arrears. That period of time is called the “redemption period”. Under very historic principles of equity law, as well as under section 16(2) of the Law and Equity Act, that redemption period must be six months unless a shorter or longer period is justified. Increasingly, lenders are applying for and courts are granting shortened redemption periods, particularly in cases where the debtor has little or no equity in the property. The courts will almost always set a very short redemption period if the debtor has abandoned the property, or the debtor is “wasting” (that is, destroying) the property. apply to the court to have the property sold (called obtaining “conduct of sale”). Sometimes, before the redemption period expires, a mortgagee or another creditor (for example, a second or subsequent mortgage lender, or creditor with a judgment registered against the title) will ask for “conduct of sale”. In some instances, then, a borrower may find they cannot stay on the property during the full length of the redemption period. In some foreclosure proceedings a lender who obtains a conduct of sale of the property may sell it (with the court’s approval of the sale) for less than the amount owing to the lender. In this situation, the borrower remains personally liable to pay the lender for the amount still owing. That amount is called the “deficiency balance”. While foreclosure is a legal process, the real factors in any foreclosure are financial, including the value of the property, the amount owed on the mortgage(s) on the property, the presence of any other financial claims against the title (for example, a judgment), and the financial circumstances (both short and long term) of the debtor. To help a borrower who faces foreclosure or has been served with a petition, you must collect and evaluate all of their financial information. The value of the property can be estimated from the most recent assessment authority notice or civic property tax notice. Alternatively, a real estate agent may be willing to give an estimate, or the borrower can obtain an appraisal from a certified appraiser. The amount owed under the mortgage will be available from the foreclosure petition. If a foreclosure has not been started, the information can be obtained from the lender. You must have a full picture of the borrower’s finances, particularly the charges that are registered against the title or are relevant to the title (for example, other mortgages, judgments, liens, property taxes, tax levies from the Canada Revenue Agency). Again, at least some of this information can be extracted from the foreclosure petition. Alternatively, start by conducting a title search of the property at the Land Title Office. Reinstating a mortgage means bringing it back into good standing by paying all the arrears, as well as the creditor’s legal costs. The arrears are usually calculated to the date of reinstatement, not to the end of the redemption period (Law and Equity Act, section 19). This means, for example, that the creditor cannot claim six months’ interest (that is, interest for the usual full length of the redemption period) if reinstatement is offered after the first month of the redemption period. If a borrower’s financial problems were temporary and are now resolved, reinstatement may be possible. If a debtor can come up with the full amount needed to reinstate, and it is realistic to expect the borrower to be able to maintain the required payments after reinstatement, a creditor will usually agree to reinstatement. If a creditor does not agree, and if the debtor does have the funds, an application can be made for a court to order reinstatement under section 25 of the Law and Equity Act. Reinstatement is basically relief against the acceleration right that the lender will usually exercise in a foreclosure proceeding. Reinstatement is only available when the term of the mortgage has not expired. For example, if there is a three-year term and default and foreclosure occur in the first year, reinstatement is viable (possible); the reinstated mortgage, if kept up to date, would run for at least two years. If default occurred right at the end of the three-year term, reinstatement is not viable, because once the term of the mortgage has expired, the right to reinstate lapses. a buyer of the property, where the sale proceeds are used to redeem the mortgage. The option of redeeming a mortgage again depends on the borrower’s financial circumstances. If the borrower has equity in the property, and if there is little likelihood of reinstatement because the debtor’s long-term financial prospects are poor, it may be advantageous to try to sell. The borrower can try to sell the property during the redemption period, though the ability to sell may be hampered if a creditor has obtained an order for conduct of sale. Even if redemption or reinstatement is impractical, advocates should ensure that the borrower’s full rights are safeguarded during the foreclosure process. Here are some points to watch for. In general, creditors can only claim a fixed scale of legal costs, under Appendix B, Rule 5, of the Supreme Court Civil Rules. Under section 21 of the Law and Equity Act, if a municipality has a Supreme Court registry, foreclosures should be started in the municipal jurisdiction of the property. Outside municipal boundaries, or where there is no Supreme Court registry in the municipality, foreclosures begin at a registry within the judicial district of the property. This provision attempts to ensure that borrowers have reasonable access to the court process, and ends the practice of lawyers in the Lower Mainland starting actions in Vancouver or New Westminster for properties located in the far reaches of the province. If the lender is asking for a redemption period of less than six months, the lender is obliged to justify the shorter period. You may be able to help borrowers present evidence to court that opposes a creditor’s request for a shortened redemption period. During the redemption period, the lender or other creditors may apply for a conduct of sale. Borrowers may be able to oppose an order by showing that there is equity in the property and that they are making reasonable efforts to sell the property themselves. Borrowers may be able to argue that their efforts to sell the property are preferable, since creditors may be inclined to want to sell the property faster, at a lower price, than the borrower would like. Even where an order for conduct of sale is made, the borrower may be able to oppose the approval of the sale. Court approval must be obtained for any sale — the creditor with a conduct of sale presents a buyer’s offer at a court hearing. The borrower may be able to argue that the offer is not enough, and that more time should be allowed to get a better price. When the lender is asking for a final order of foreclosure, the borrower may be able to argue that the redemption period should be extended. The borrower needs to show that there is reasonable equity in the property to protect the lender for the full amount owed, and the borrower needs to show that there is a reasonable likelihood of sale or redemption within the additional time. In residential foreclosures, borrowers may be given between one and three months; in foreclosures of farm property, sometimes the courts have given longer extensions. Where no other remedy is available, and where the borrower must finally leave the property because it has been sold under a conduct of sale order or because the lender has obtained a final order of foreclosure, you may still be able to help the borrower move from the property. Both orders stipulate a date when the debtor has to give vacant possession. With final orders of foreclosure in particular, there is usually some small negotiability in the date when the borrowers must move. This is because the cost and upset factor in a forced removal can be high for both the lender and the borrower. For example, if a final order requires vacant possession during the middle of a month, a lender may agree to allow possession until the end of the month, while the borrower arranges other accommodation. In these circumstances, you must give the lender reasonable assurances that the borrower will move on the agreed date and that the property will not be allowed to deteriorate in the meantime. Where there is a forced sale of the property, the borrower may come out of the foreclosure process still owing a considerable amount of money to the creditor with conduct of sale. (By contrast, where there is a final order of foreclosure and title is transferred to the lender, the borrower’s liability is extinguished.) The borrower may also owe considerable amounts to other creditors with mortgages or judgments registered against the property. There may have been claims against the property in excess of the selling price of the property. If creditors’ claims are not satisfied through the foreclosure, creditors can continue to claim any balance due. Clients may be under the impression that since they have lost their house, all the creditors’ claims are extinguished — this is not the case. Having seen the borrower through the foreclosure, it may be necessary to look to other remedies, including either a proposal or an assignment in bankruptcy under the Bankruptcy and Insolvency Act, or some form of negotiated settlement with the creditors. See also People’s Law School pages on mortgages and foreclosure, MyLawBC’s pathway on foreclosure, and the Canadian Centre for Elder Law’s “Reverse Mortgages”. This page was last edited on 13 October 2018, at 08:58.